A nice review in recent CJASN highlights the use of anti CD20 and other novel b cell agents in transplantation. 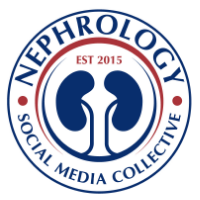 The paper actually reviews all of glomerular diseases and transplantation. 1. 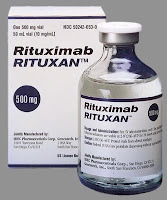 Use of Rituximab is increasing more and more with desensitizing protocols for ABOI and + DSA patients. Is it a combination of IVIG, Pheresis and Rituximab that really works or is one better than the other, no studies have confirmed that? Although IVIG alone has not been affective. Hence, it might be an additive effect. 2. Use of anti CD20 in antibody mediated rejection has become an increasingly used agent. This stems from a simple concept that antibodies are produced by B cells and hence depleting the B cells will deplete the production of antibodies. 3. Bortezomib, has been now used as well in refractory antibody mediated rejection and in biopsies that have enriched plasma cells. Total IgG were unchanged in those patients treated, so we don't know if this is a one time effect and or long lasting and also there is potential increased risk for infectious complications. I think we shall see more and more of these agents used for treating transplant patients in the future. We have to be careful as there are Regulatory B cells and what we are doing to those B cell clones, we don't exactly know!